STRABAG is one of the major construction companies in Europe and the market leader in Central and Eastern Europe. On these core markets, STRABAG is present via its numerous subsidiaries in all countries of Eastern and South-Eastern Europe, in selected markets in Western Europe, the Arabian Peninsula, Libya, Canada and India. 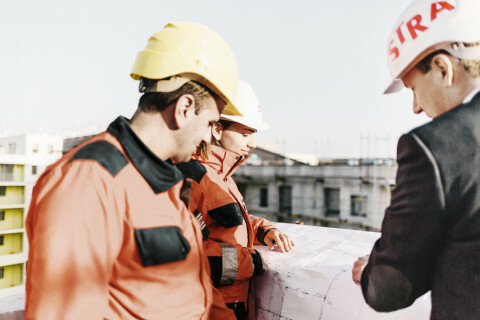 The wide range of services comprises all segments of the group’s construction industry, covering the entire value creation chain in the construction sector. STRABAG operates on the Romanian market since 1991, establishing its headquarters in Bucharest in 1992. In time, the group has set up branches in all relevant regions for the market in Romania, with over 1,500 skilled employees. The company operates in all construction sectors, particularly Transport Infrastructure, Construction and Civil Engineering segments and environmental construction projects. The group is present in Romania not only through the STRABAG brand, but also through group companies: ARL SA, BHG Comercializare Bitum, CARB SA Braşov, BITUNOVA România, BMTI Tehnica Utilajelor pentru Construcţii SRL, DRUMCO SA Timişoara, MINERAL ROM, SAT Reabilitare Reciclare, STRABAG Facility Management, TPA Societatea pentru Asigurarea Calităţii şi Inovaţiei SRL, ZÜBLIN România SRL and DYWIDAG România SRL. BMTI is responsible for maintenance and necessary repairs to be carried out for the fleet. BMTI – engineering construction machinery Ltd. is a company of Strabag SE, responsible for the entire life cycle of each machine and each car that is a moveable asset of any company of the group. 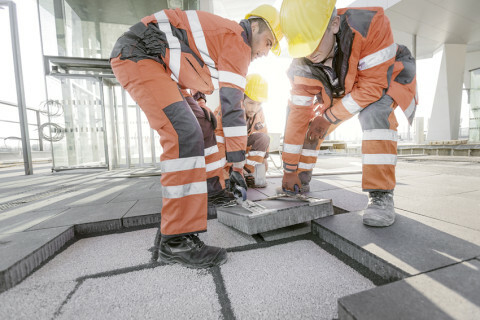 The TPA laboratories are in charge of checking the quality of asphalt mixtures ARL products, components mix (aggregate, filler, bitumen) and quality of work performed. 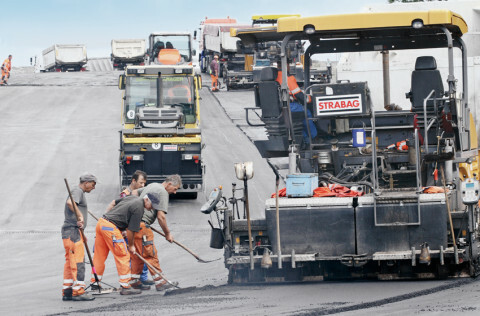 They are a competence center for materials technologies asphalt, concrete, earthworks and geotechnical engineering in one of the largest construction groups in Europe was Strabag SE. As an independent laboratory, TPA is represented in some 20 European countries, making it one of the largest private laboratory in Europe. TPA was founded in Romania on September 2005, as a company of STRABAG corporation responsible for ensuring quality and innovation. TPA laboratories are equipped with the latest equipment and performs tests and determinations for roads (construction of roads, bridges, highways). More details here.